If you are searching for a way to monitor your website performance; or to track your ranking on one of the major search engines like Google or Bing; or you are simply searching WordPress for a ranking plugin, then the chances are you are trying to update your current SEO strategy, or you are in the early stages of developing your WordPress site. Either way, you are on the right track… The purpose of your website is to get more potential clients and the most effective way to do this is to increase the traffic to your site by improving your organic ranking on Google. There are a number of other ways to drive traffic. Social media provides great benefit to site owners, but too many site owners moved towards social and neglected organic search and have since discovered that this strategy just cannot work. Social media might be a supplement to Organic Search but it cannot be an alternative. Keeping the focus on Organic Search, the site owner has to start by measuring his/her search engine ranking position (SERP), and this can be done by visiting Google search and counting the number of competitors in positions above the site of interest for a particular search phrase. Wouldn’t it be great if this process could be automated? Well, it can and if you own a WordPress website, you are in luck because there is an easy to use WordPress ranking plugin and it is free to install. Many businesses that are new to SEO may have doubts about the use of such plugins, but we will discuss why you need a WordPress ranking plugin and why the Hub5050 Ranking and Competitor Tracking is the best choice. The goal of any website is to rank well in google. Research by Advanced Web Rankings has shown that the first three results in google get 60% of the traffic, with the first result receiving a 27% click-through rate. Reaching the number one positions or even within the first three results in Google will drastically increase your traffic and potentially your sales. If you rank lower than this then you may have serious difficult producing the traffic and sales that you are looking for. The right WordPress ranking plugin can help you get to into those top three positions in Google. If you don’t measure it then it is unlikely that you will be able to improve it. Ranking plugins allow you to see where you currently rank for your search terms in Google and in the case of the HUB5050 Ranking Plugin where your competitors are in this ranking also. This information will allow you to come up with an SEO strategy that has stated goals for beating your competitors and ranking higher for your chosen Keywords. With this information, you can make positive changes to existing web pages and produce new pages which will begin to rank on google within a short period of time. This will give you an edge that your competition may be lacking. The benefits of such a WordPress plugin will not be noticeable right away as SEO changes can take some time to be picked up by Google. Initiating the use of such plugins, however, will give you an advantage over your competitors in several ways. HUB5050 was developed with the WordPress user in mind. Most companies use WordPress for their websites due to its ease of use and so HUB5050 was created so that it could be easily and quickly installed onto your WordPress site just like any other plugin. The HUB5050 plugin is free and while there will be a premium version rolling out in the near future, there always will be a free version to get you going. 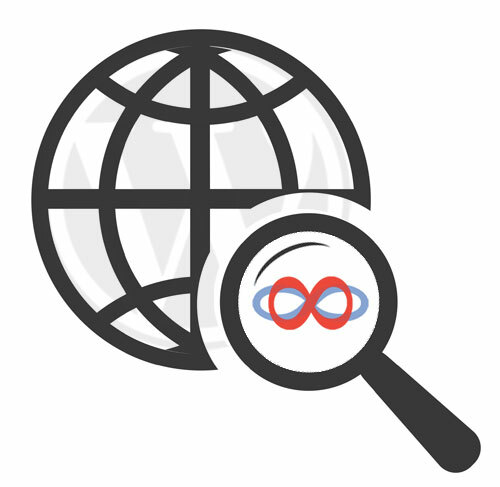 This WordPress plugin allows up to ten search terms and two competitors at the moment, but this will be extended in the future. Once you have installed the HUB5050-Wordpress rank tracker plugin, it will run in the background and update your ranking on a regular basis. It also will keep track of your perceived competitors and the real contenders in you sales space. All of this will free up your time so that you can focus on your business. As a new WordPress ranking plugin, HUB5050 was developed to produce the most accurate results for its users. The plugin gives you a competitive look at your search term rankings over time. By allowing you to track your competitors you can develop SEO and marketing strategies to beat them to the top positions. Gaining such insights allows you to focus on the micro changes that your competitors may have overlooked. This might include focusing on niche products or services that are ranking high in certain sectors or choosing the search phrases that potential clients use when searching on the web. Such information is invaluable in maintaining a high search result position within Google and generating greater profits. 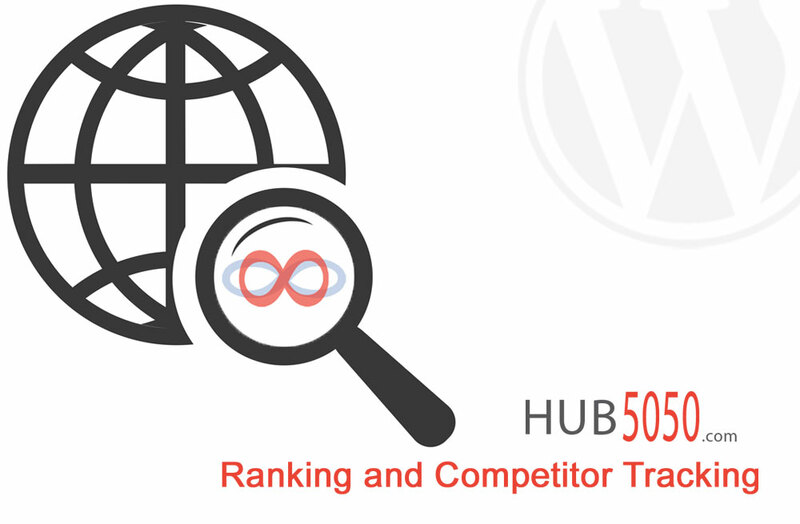 Simply put, the HUB5050 WordPress ranking plugin can save your valuable time in researching both your search terms and those of your competitors and can give you a better understanding of the space where you are competing for top ranking positions. You then will be able to develop the right SEO strategy to help you improve your site ranking SERP access the top tier of Google search. These changes are not instant as it takes Google some time to notice changes and small changes lead to incremental improvements in your ranking and consequently the traffic to your website. If you are still unsure about using a WordPress ranking plugin then you can learn how capture your ranking manually. The issue with this is that it is time consuming, tedious and without the correct insights into the keywords you are focusing, on you may simply be wasting your time. CreatorSEO™ the developers of HUB5050 have a long history of producing high-quality SEO results for their clients. They know how to track competitors, rank well in Google and provide the best results for their clients. They also have rolled out other ranking tools like MySitePerformance.com. This plugin takes the knowledge developed over the past 10 years and builds this into a Plugin for WordPress that save time by automating your rank tracking. With this extra time, your business can focus on developing new products and services for your clients and customers. Your business will not need to worry about what the competition is doing as HUB5050 will continually provide you with that information. HUB5050 provides the best software in this sphere as it has been created solely for WordPress sites allowing for better installation, service and performance. Early adoption of a product such as HUB5050 is the best way to ensure that you are ahead of the competition and have the best ranking possible within Google. As Hub5050 develops more into the future you will be glad that you began using it in the initial stages, because this will put you ahead of your competition and continued use will keep you there.